Why are you using Job Boards? This isn’t an attack on job boards by any stretch. I use them to post jobs and also to find CVs. And its that second use that I find strange really. 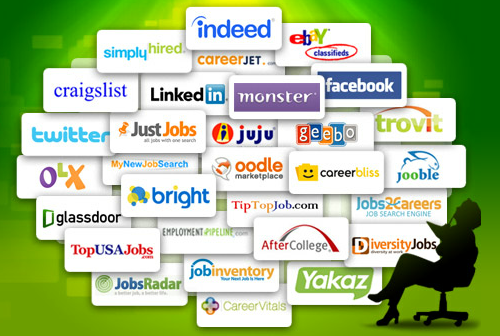 If you are looking for work, scanning the job boards for jobs is ideal. You can even set up a search so that the website will do the scanning for you and send the most appropriate. Great heh? But why register your CV on them? Have a quick think about what it will achieve. Someone might call you to speak about a job they are working on, right? Yes, that is true, but of the 10 calls you receive, how many of them are from agencies to discuss a live vacancy, and how many are to “register your details” in case of future work coming up? I’d say it must be at least 70% if not more. I know because I do it! And that’s not necessarily a bad thing, because if the agency is any good, they will have called you as you have a useful skill set for their clients and they will be pro-active about getting you into work. But if they aren’t that good (and how many out there are? ), they will have called you to hit a meaningless “candidates interviewed” KPI, they will waste 20 minutes of your time and you will never hear from them again. But that’s not all! If this has happened a few times, there are people out there with your CV on their database and you have no control over what they do with it. It might be unscrupulously sent to all and sundry to try and get a “bite”, or they might send you to a role that you have already gone for through someone else. Or worse still, they will send you to your current employer (believe me, I’ve seen it happen more than you think!). Housing is a very insular industry. There are a finite amount of employers in your region and so it is easy to know who they are. Equally, there are a certain amount of recruitment specialists operating in this sphere. You have a relatively unique situation in that sense, and so you are able to be more in control of the process. If you work in IT or finance, then you could work across pretty much all industries, so it makes sense to register your CV on a board to make sure you don’t miss an opportunity, but Housing is different. You can select those people or that person in the market that you trust to represent you in the right way, find the right job for you and you can build an actual relationship with them. They will be your eyes and ears in the market, they will put your best foot forward on any applications and they will add contact to your CV to clients. I search Job Boards for CVs because I want to make sure I have the best people in the market, but most of my best relationships come through previous working relationships or recommendations. If you really want to find a job, I highly recommend doing a bit of research, ask some of your colleagues for recommendations, make a couple of calls and then let us do our jobs- you’ll find it a much more effective use of your time! Previous Previous post: There be a storm a-brewing…. Next Next post: My top 5 list of reasons you shouldn’t do a Top 5 list!